The association is the umbrella organisation for all local affiliated rowing Clubs in the county of Cambridgeshire. It looks after the interests of the local rowing community as well as providing facilities and events for them. On this site you will find links to websites for the affiliated clubs for the Cambridgeshire Rowing Association, news from local rowing clubs, and infomation and links to details of local rowing events. 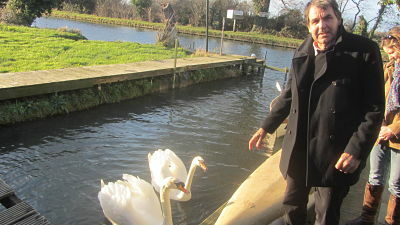 On Tuesday 2 February a meeting was held between representatives of the Cambridgeshire Rowing Association, Cambridge University Combined Rowing Clubs, the River Manager, The Queen's Swan Marker (David Barber) and Natural England to discuss in particular the welfare of swans and their cygnets during the University and Town Bumping Races. It was a most useful meeting and recommneded measures will be taken to protect swans and their cygnets during bumping races. Guidelines for rowing clubs on the protection of wildlife on the river have been issued.